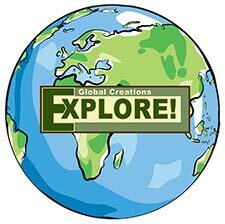 Outdoor News May 25, 2018 - Explore! 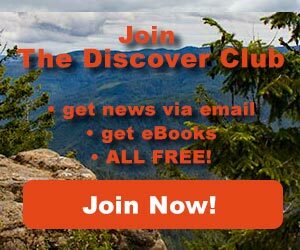 Outdoor News May 25, 2018 - Explore! May 24, 2018 – CAMP VERDE, Ariz. – Arizona’s Verde River provides water to many rural communities and about 3 million people in the Phoenix area. This week, groups reached a deal to protect a portion of the river. Amid a years-long drought, a diverse set of public and private groups are teaming up to ensure the Verde River stays as wild and healthy as possible. 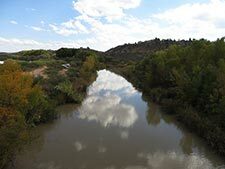 A new conservation easement with funding from the Nina Mason Pulliam Charitable Trust, Natural Resources Conservation Service and the Arizona Game and Fish Department is set to protect three miles of the river where it flows through the largest farm in the Verde Valley. Kevin Hauser is the owner of Hauser & Hauser Farms, where the easement is located. “When the economy’s going good like now, I’m sure that if we didn’t own it, there would be a lot of pressure to convert that ag land to subdivision,” says Hauser. The groups say if the farmland were allowed to be developed, it would likely mean digging wells and cutting down trees. The voluntary land agreement is meant to guarantee the land can stay agricultural and the river ecosystem can remain intact. The protected land also is adjacent to an area set to become Arizona’s newest state park, which will add another mile of protection to the riverfront. In addition to protecting a water resource, groups say the conservation easement on the Verde River will protect habitat for willow flycatchers, yellow-billed cuckoos, bobcats, mountain lions and mule deer. The New Mexico League of United Latin American Citizens (NM LULAC) unanimously passed a resolution on May 20th at its annual convention in Las Cruces, New Mexico, calling on Congress, including all five members of Congress representing New Mexico, to act swiftly to enact full funding for and permanent reauthorization of the Land and Water Conservation Fund (LWCF). The resolution recognizes the important contributions LWCF makes to New Mexico’s, our nation’s, and the Latino community’s health, well-being, economic opportunity, and access to our nation’s natural treasures. The Hispano Round Table of New Mexico (HRTNM) Board of Directors unanimously passed an identical resolution on May 4, 2018. LWCF’s funding comes from off-shore drilling royalties so its benefits have come at no cost to taxpayers. Unfortunately, in over 50 years, Congress has only twice fully funded LWCF, instead regularly diverting royalties meant for LWCF to other purposes. What’s more, LWCF will expire on September 30, 2018 without Congressional action. “Latinos and all Americans in every state have benefitted from the Land and Water Conservation Fund, whether they know it or not. 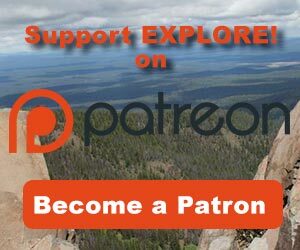 If you have visited a state park or played softball in your neighborhood, there’s a good chance those places in New Mexico were, in part, funded by the LWCF to the tune of over $310 million during the program’s lifetime,” said Ralph Arellanes, NM LULAC Executive Director and Hispano Round Table of New Mexico Chairman. In New Mexico, places where LWCF funds have been used include Valle de Oro National Wildlife Refuge; Valles Caldera National Preserve; Rio Grande del Norte National Monument; Camino Real de Tierra Adentro National Historic Trail; Mesilla Valley Bosque, Pancho Villa, Manzano Mountains, City of Rocks, and Elephant Butte Lake State Parks. 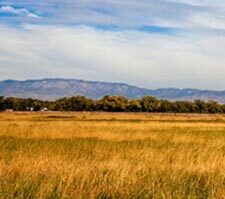 In addition, LWCF has benefitted community parks, ball fields, playgrounds, and other recreational facilities in every New Mexico county and nearly every New Mexico incorporated area. In addition to the conservation and health benefits of the fund, the resolutions point out that outdoor recreation contributes $9.9 billion to New Mexico’s economy and supports 99,000 New Mexican jobs. Failing to reauthorize LWCF threatens this valuable economic sector. A copy of the HRTNM resolution can be found here. The NM LULAC resolution is identical. The National Park Service (NPS) has completed its environmental review and issued its decision to permit the installation of limited-range cellular equipment in the attic of Mount Rainier’s Jackson Memorial Visitor Center. The decision, detailed in the Finding of No Significant Impact (FONSI) for the Paradise Cellular Environmental Assessment (EA), authorizes the issuance of right-of-way permits to two wireless carriers, Verizon Wireless and T-Mobile. The permits will allow co-location of limited range wireless communications facilities in the attic of the Jackson Memorial Visitor Center (JVC), located in Paradise, Mount Rainier National Park. As part of this decision, AT&T may be added pending final review and approval of their proposal, which was submitted in January 2016 prior to completion of the EA. A cell tower will not be constructed, preserving the extraordinary scenery at Paradise. The wireless facilities will be hidden within the attic of the JVC and will provide year-round cellular service, including voice and data capabilities, to the Paradise developed area. Completed in 2008, the JVC was designed to be architecturally compatible with the Paradise Historic District. Paradise is located on the south slope of Mount Rainier. It is the most popular and heavily used area of the park, with approximately one million visitors in 2017 and up to 9,000 visitors on the busiest days. Paradise is the gateway to designated wilderness and the most popular climbing route to the summit. A hiker fell from the Half Dome cables in Yosemite National Park Monday afternoon at approximately 4:30 pm. The male hiker was on the Half Dome cables hiking with another person during thunder storm activity. Park Rangers were notified that a hiker had slipped and fell off the Half Dome cables. Rangers arrived on the scene and provided assistance to the second hiker. The hiker did not survive the fall and Yosemite National Park Rangers recovered his body at approximately 1:00 pm Tuesday. No further details about the incident are available at this time. 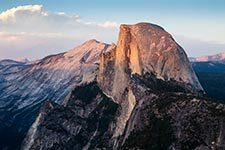 This is the first fatality on the Half Dome cables since 2011 and this is the first visitor fatality in 2018. Managers of the Coconino National Forest in northern Arizona temporarily closed six large areas to public access on Wednesday due to fire danger and for public safety. All areas of the national forest outside of the closures remain in Stage 2 Fire Restrictions. These closures and restrictions will remain in place until the national forest receives significant precipitation. Other Arizona National Forests including Tonto, Apache-Sitgreaves and Kaibab have ordered similar closures. These closures will seriously affect recreation activities throughout the area as many heavily used campgrounds and trails are closed. Warehouse Moving Sale! Up To 85% Off Bike Shorts, Shoes, Components, Up To $125 Helmets and Sunglasses, and More Than 50 Bicycles At Least 50% Off at BikeNashbar.com. Sale ends Sunday! This week’s video features the hike to the top of Half Dome in Yosemite National Park. Before you even get started on the trail be sure you are in good shape and outfitted with good hiking shoes and lots of water. Then be prepared for a very difficult and long day. The video, however, is safe to watch! Enjoy!